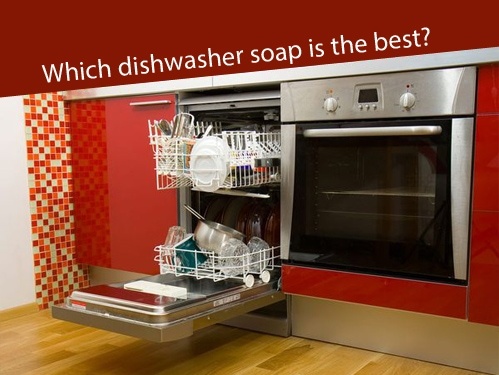 Which dishwasher soap is the best?
. Published on April 7, 2015 . 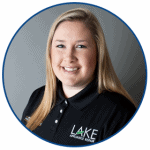 As a service company, we get frequent calls from angry consumers complaining about the effectiveness of their dishwasher’s cleaning cycle. Before you make a call to your local repair company, we recommend changing your dishwasher detergent. Seriously! The solution may actually be that simple. The type of detergent you use makes a huge difference in your dishwasher’s performance. In this blog, we demystify the complexity of dishwasher detergents. We all know that oil and water don’t mix, so washing greasy dishes with water may seem a little counterintuitive, but detergents use long molecules called surfactants which attach to water at one end and oil at the other. The surfactants may be combined with other chemicals including builders, bleach, enzymes, rinsing aids, or fragrances to aid in the cleaning process. 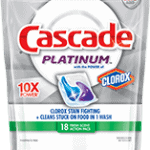 What Are The Differences Between Dishwasher Detergents? The most obvious difference in detergents is packaging. 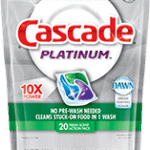 Dishwasher detergents come in powder, gel, liquid, pacs, tablets, and cartridges. Powder, gel, and liquid are loose, requiring you to measure your usage with every load, however pacs, tablets, and cartridges use preset measurements to make the job easier and less messy. Bleach – Bleach is an effective stain remover. It won’t do much to combat caked on food, but it can remove tea or coffee stains from ceramic mugs. Enzymes – Most modern detergents use a collection of enzymes to breakdown hard food particles. This uses the same basic process as the stomach or in natural decomposition. It is extremely effective with caked on food. Rinse Aids – For those with hard water, rinse aids are useful for eliminating the milky white residue often left on glasses. A popular misconception is that this white substance is soap residue, when actually it is caused by high calcium and magnesium content in your water supply. If your dishwashing needs are very basic (meaning you don’t have deal with stuck on food or stains), a standard detergent will remove oil, grime, and bacteria effectively. However, if you are a regular coffee or tea drinker, you need a detergent with a bleach additive. 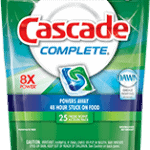 And, if you have tough, caked on food (typical for large households that cook frequently), a standard detergent won’t cut it; you need to invest in something a little tougher (with more enzymes). 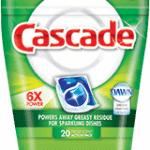 Try these products from Casacade for maximum effectiveness. IMPORTANT: Coffee, Tea, and Wine drinkers listen up! 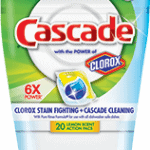 If you deal with rings in your cups or left over stains on your dishes, try the Cascade product with Clorox Bleach. 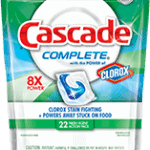 Cascade With Clorox Bleach is available with each detergent in the Cascade line for effective stain removal.